You have heard the saying “you had me at hello”? Well, Jennifer Snow is a fabulous writer who touched my heart last Christmas when I read The Trouble with Mistletoe. I was upset I hadn’t heard of Snow sooner – her storyline could easily be made into a Hallmark Channel Movie and her books are well written, well edited, and they definitely warm the heart! When I read the book description for Falling for Leigh (a Brookhollow Story). I realized Snow had done it again. New York novelist Logan Walters falls for the girl next door to the Brookhollow B and B, he has a new assistant who can’t type, and his manuscript is overdue. I didn’t need to hear another word, I was hooked and had to get my hands on Falling for Leigh (a Brookhollow Story). Before I tell you too much, I have to say a sincere thank you to Jennifer Snow for sharing her time and talents with yet another heartwarming tale! Brookhollow is the most ideal setting for a romance. A small town with interesting characters so well written by Snow you feel you lived in Brookhollow yourself (or at least spent the summer there)! Snow adds just enough detail to help you fall in love with the setting as well as the characters. There’s a heated gazebo, family owned bakery, noisy daycares, antique furniture filled bed and breakfasts, and of course a rickety ladder for Logan Walters to fall from! 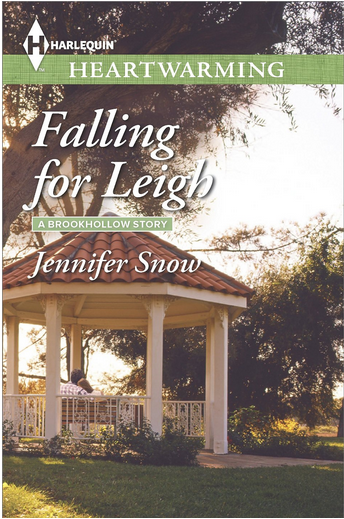 The characters in Falling for Leigh (a Brookhollow Story) are completely believable. As you read about a divorcee who struggled with fertility who feels alone and unlovable you can likely replace that character with someone in your own life. There’s a busy mom just trying to enjoy her children while keeping them safe – again…insert any number of your friends into that character description as well. I truly appreciate the reality and honesty Snow uses in her stories. It makes the story come alive for me. I would definitely recommend any of Snow’s books and I certainly hope the Hallmark Movie Channel catches on someday soon and turns one of these sensational romances into a movie (I’ll be the first one on the couch with a glass of wine and bowl of popcorn)! Can she be his cure for writer's block? For New York novelist Logan Walters, falling for the girl next door was more than a cliché. It was a calamity! If Leigh Norris hadn't been so attractive, and hadn't been hammering relentlessly while he was trying to write, Logan would never have ascended her rickety ladder in a misguided mix of gallantry and frustration. And he wouldn't have a broken wrist—or a guilty new assistant who can't type. Clearly, his escape to the Brookhollow B and B was not going to be the quiet, idyllic retreat he needed to finish his overdue manuscript. But it was fast becoming much more interesting than expected…. 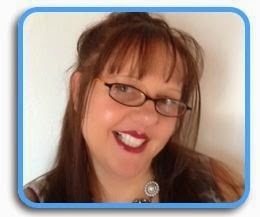 About Jennifer Snow: Jennifer Snow writes contemporary romance fiction for Harlequin Heartwarming. She is a member of the RWA, the Alberta Writers Guild, SheWrites.org and the Canadian Authors Association.